Scientology is a relatively new religion that has managed to draw interest from people around the world and grow faster than any other modern religion. Its belief system was first proposed by famous writer L. Ron Hubbard in 1950 with the publication of a book called "Dianetics: The Modern Science of Mental Health". Dianetics was, at its core, a self-help book that aimed to offer a sense of psychological enlightenment through a concept called mental auditing. Auditing is one of the core practices for new and experienced scientology members alike. It is a spiritual examining that purports to delve into your past experiences and traumas in order to get to the root of what is bothering you and ultimately free you from worry, or make you "clear", as scientologists call it. Scientology proposes itself as an alternative to traditional psychiatric treatment, and claims to be a better alternative to psychiatric drugs and fee based therapy sessions. Scientology though has come under criticism for the high cost of its own books and auditing process. At the time of the writing of Dianetics and the founding of Scientology, many Americans were interested in new religious experiences. Small churches grew quickly, operating and gaining new members. Self-help and psychology were generating lots of interest as well, with people trying to improve their lives and relationships. The United States in the 1950s was fertile soil for the seeds of Scientology to grow. The time was right for a religion that addressed these personal concerns and considered the interplay of faith and science. Scientology is a secretive religion and does not advertise some of its core beliefs to outsiders. Experts on the religion say that church officials avoid discussing some of these beliefs with new members and it is not until they have been part of the church for a long time that they learn some of the more mystical beliefs. At the heart of scientology is the idea of a thetan, a spiritual being not bound to a body, that floats through the universe looking for a host. Scientologists believe that at the time of a child's birth, a thetan comes down and attaches itself. It is believed that a person's character and behavior is determined by the thetan. These thetans bring their own baggage, however, from their past lives, and it is the role of the scientologist to increase their thetan level, or soul power, to resolve the thetan's past trauma and to become "clear". If it sounds like science fiction to you, you are not alone. One of the main criticisms leveled at these beliefs is how much it sounds like a Sci-Fi movie. And in some ways Scientology and the entertainment business are very much intermixed. The church first took hold in California and attracted many young Hollywood artists. The founder L. Ron Hubbard was a science fiction novelist and is said to have always been intrigued by the film industry. At the time he founded scientology, he was writing in Hollywood, hoping to further his entertainment career by penning screenplays. In 1969, the church opened its first "Celebrity Centre", a church that is open to the public but meant for artists, business leaders, athletes, and other notable persons who may be interested in participating in the church and perhaps lending their talents to it. Hubbard hoped that the religion would be popularized through the arts. Many notable people did in fact join the church and go on to publicly advocate for Scientology. The two most famous followers are John Travolta and Tom Cruise. 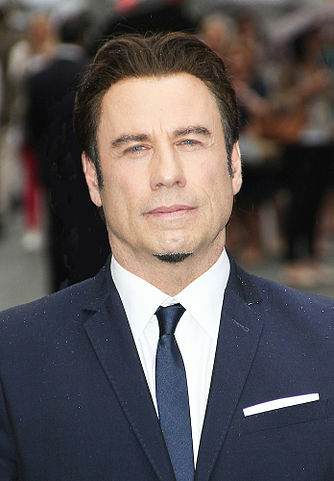 Travolta was the first big celebrity to come out from the Scientology flock. He found the church in 1975 after reading Dianetics. He has credited scientology for giving him the resources and the confidence to pursue his acting career. When he became world famous after starring in the film Saturday Night Fever in 1977, he was in a way the de facto face of Scientology. Tom Cruise has perhaps supplanted Travolta as the biggest celebrity proponent of the church. In recent years, he has spoken publicly about his role in the religion. His first wife, the actress Mimi Rogers, who is now thought to have left the church, first exposed Cruise to the Scientology. Cruise credits scientology for helping his career, and is now publicly advocating for the church to be accepted as an official religion in Europe. Scientology is a controversial religion, though its proponents argue that all religions begin as controversial and over time become more accepted by mainstream society. Scientologists do have some controversial practices, though, such as suing anyone who makes statements that the church deems not good for the image of the church or publicly criticizing members who have chosen to leave the church. Only time will tell whether Scientology's rate of growth will continue or slow over time.